Find out more about Google Photos with key information, pricing, user reviews and frequently asked questions. 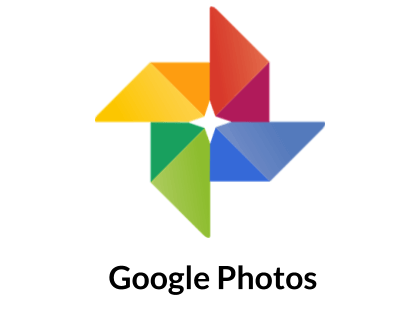 Google Photos is a free digital asset management tool from Google. With Google Photos, you can store and organize your photos securely in the cloud. Google Photos is also a convenient way to back up your photos if they are stored on a single device. Pros: User-friendly interface that integrates well with mobile devices. Cons: Storage is not unlimited for large images (greater than 16 megapixels). Bottomline: A reliable photo storage/management solution that most Google users will feel comfortable with. What is the price range for Google Photos? Google Photos is free for up to 15GB of storage. Beyond that, you can pay up to $9.99 per month for 2TB of storage. Is there a Google Photos free trial? There is no free trial, but you can access the free version for an unlimited length of time. How do I log into my Google Photos account? You can access the Google Photos login page by going to photos.google.com. Are there any Google Photos alternatives? Google Photos is a phenomenal service, and a terrible gallery app. I have been using Google Photos for a couple of years now, and I’m quite impressed with what it can do. Mostly I like Google Photos because it keeps at least a moderate resolution copy of every photo from my hard drive (based on folders I've authorized Picasa/Google Photos to sync - I don't sync all folders).